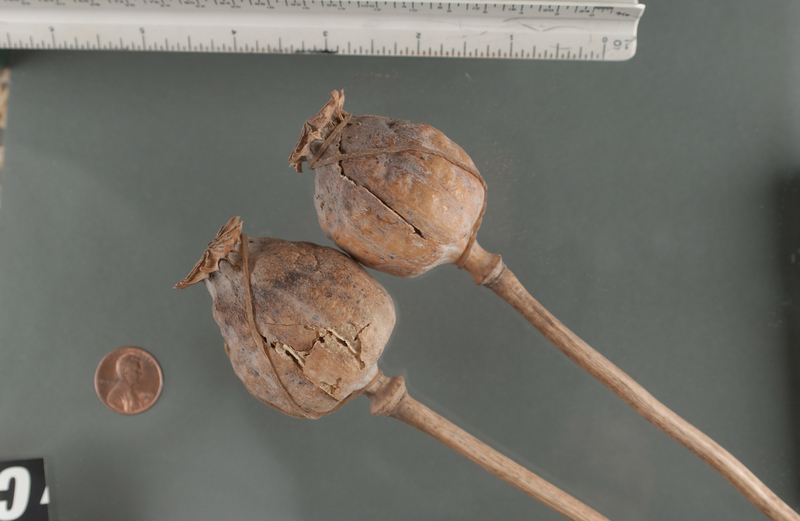 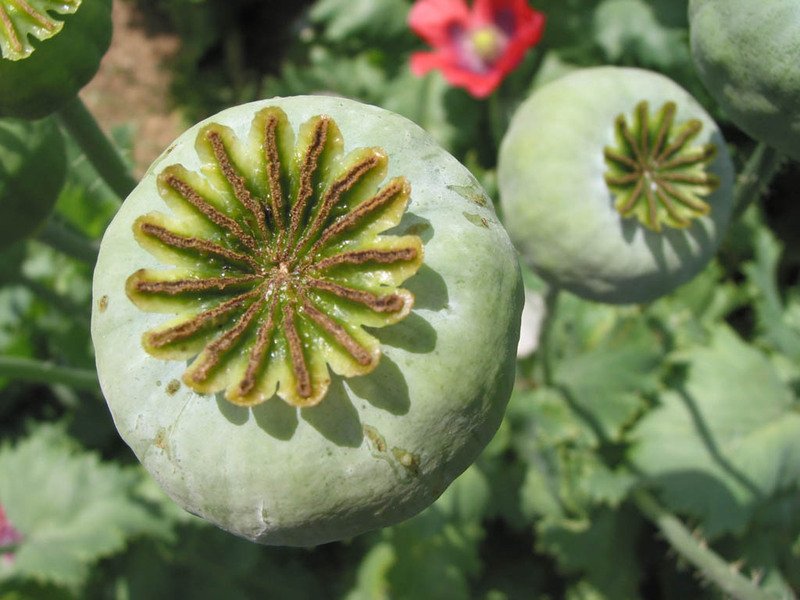 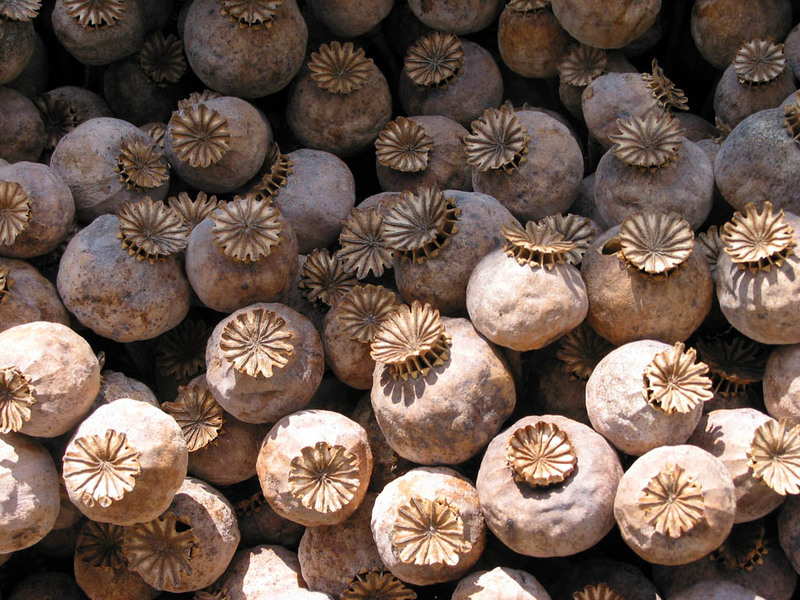 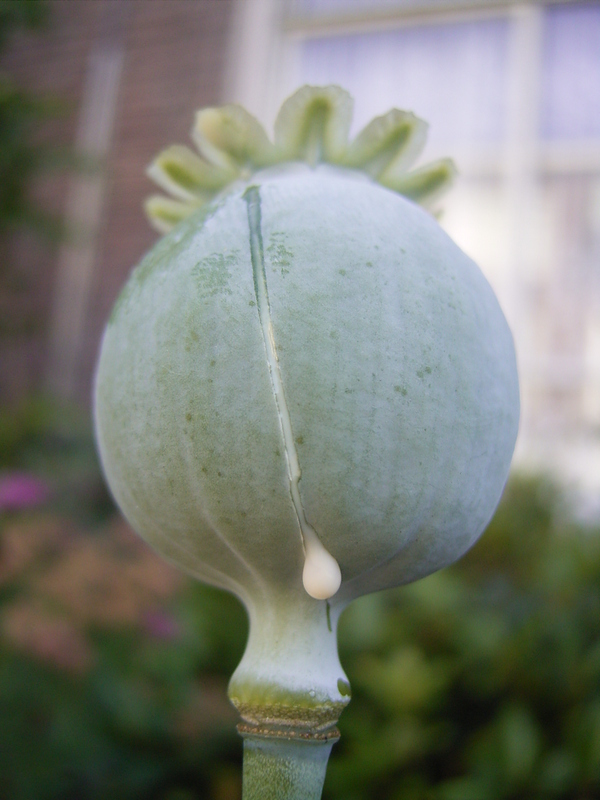 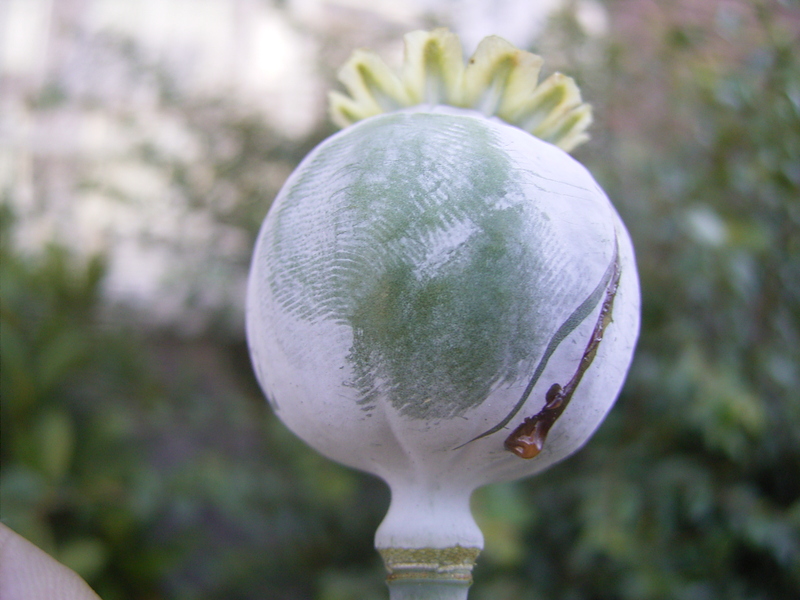 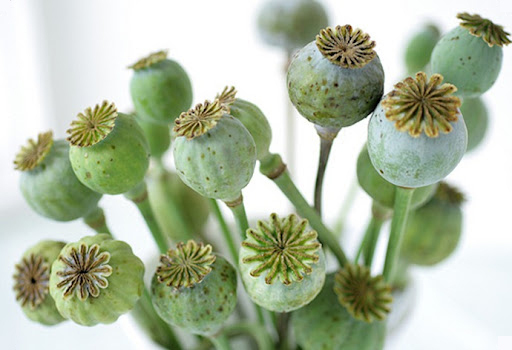 Dried opium poppy pods and stems. 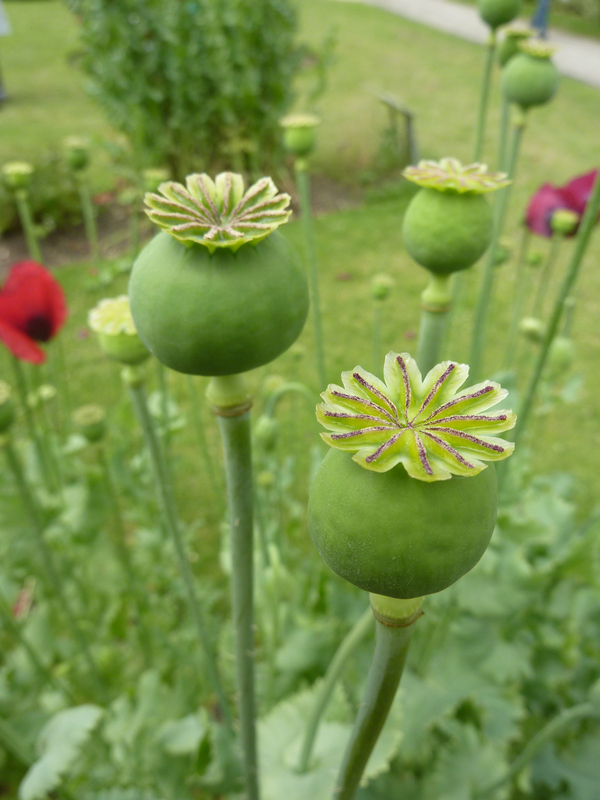 Poppy pods at the Cambridge University Botanic Garden. 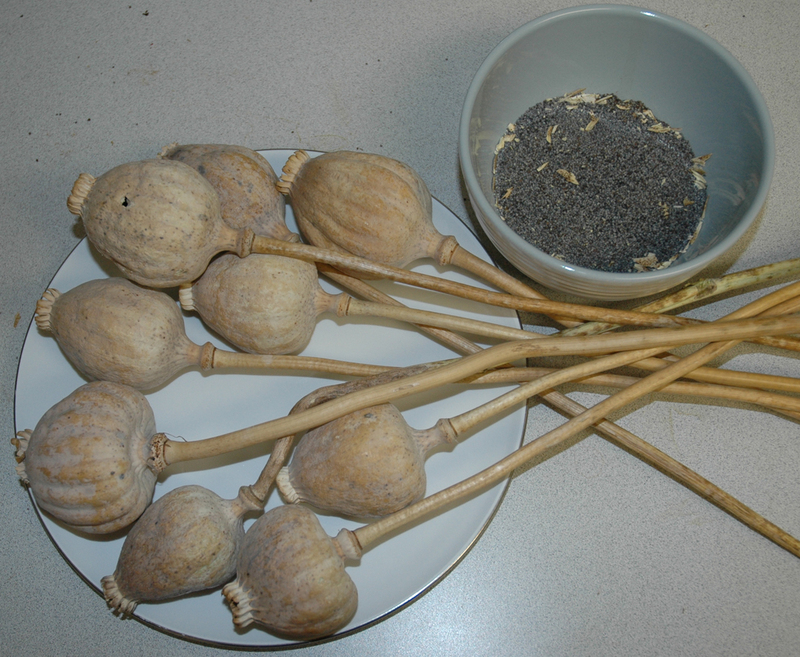 Dried poppy pods of various strains and sizes. 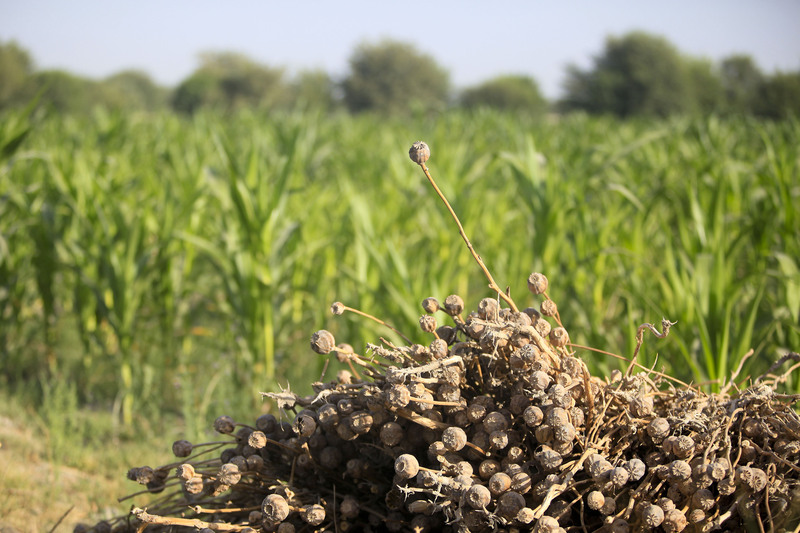 A pile of dead poppy plants sits in front of a fresh crop of sweet corn, Nawa, Helmand, Afghanistan. 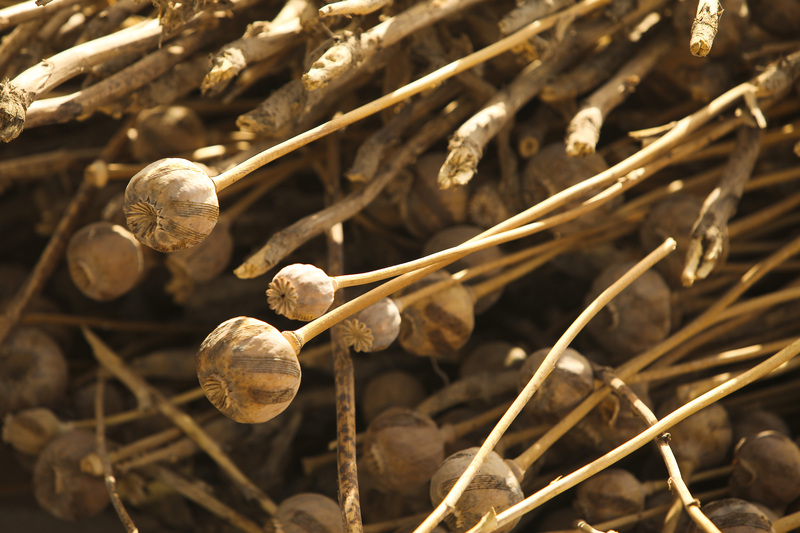 Dried poppy plants with pods that had been previously scored for the purpose of harvesting opium, Nawa, Helmand, Afghanistan. 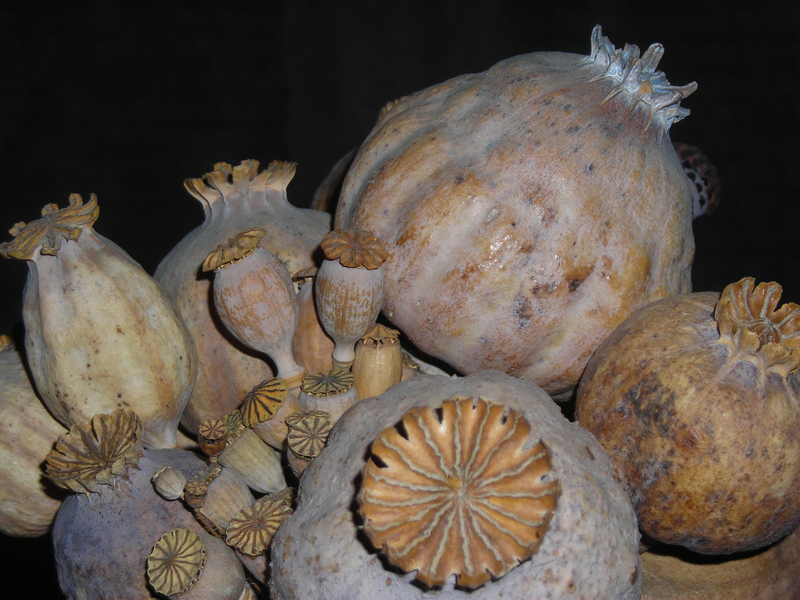 Dried opium poppies and seeds.